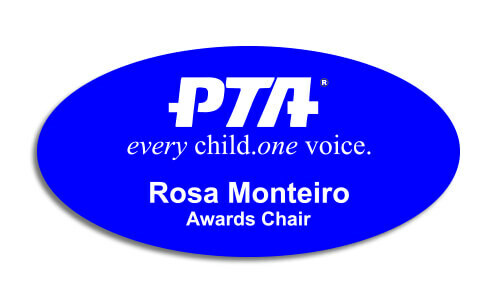 Order your Large PTA Oval Engraved Name Tag today! Ideal for all PTA members and perfect for PTA meetings! Outfit your PTA volunteers with this quality oval name tag. Holmes Custom can engrave this oval name badge for every member of your chapter. Make PTA more personalized with custom name tags. This oval 3 inch by 1.5 inch badge is available in multiple color combinations and can be engraved with up to 2 lines of text.